WHILE being right has its own rewards, there are certain times when being off the mark is preferred. This is one of those times. WHETHER or not Americans (westerners alike) even realize it, or no less want to admit it, they were “drafted” into war against Islam on 9/11/01. Even more so, the actual “recruitment” date was on Nov. 5, 1990. Huh? WELL, as discomfiting as it is for some, the “opening of jihad on U.S. soil”occurred with the assassination of Rabbi Meir Kahane (Nov. 5, 1990) by Islamic jihadists at the Marriott Hotel in NYC. If you don’t want to believe this investigative journalist (who put all the pieces together not too long after the shot across the bow happened, yet, was asked to write about it in 2005 for various reasons), so be it. FRONTAL jihad on America’s streets will (soon) take on a different blend of terror, in comparison to the onslaught on 9/11/01. In other words, whereas jumbo jets were used for maximum carnage, their tactics, as always, evolve with the times….continue reading…. ALAS, it is along the lengthy and bloody spectrum of Islamic terror that jihadi arson catapults to the fore, even though it is a little known tactic of choice. Par for the course, mainstream media keeps it buried, thus, blinding viewers from connecting the dots. Regardless, it is used to burn down non-Muslim land/property – and otherwise terrorize – to (eventually) submit infidels to (the pagan moon-god) Allah! NOW, certain aspects to this burning issue bear repeating, in so far as it is spreading like wildfire – from the west coast to the east coast. BACK in July 2012, a few weeks into the inception of this site, a highly trusted contact advised it would be worth the time/effort to explore the above issue. Based on the level of insistence from the aforementioned contact – an investigator with a wealth of experience – it soon became clear, indeed, it was a subject which required immediate attention. Thus, Jihad Via Arson: As Fires Rage, Here (in Israel), There (in the U.S.), A Fatwa On Our Heads became this blog’s starting point. It was given a heads up. The go ahead. NOT to be lost in the discussion, jihad by arson is a non-stop terror tactic within Israel. 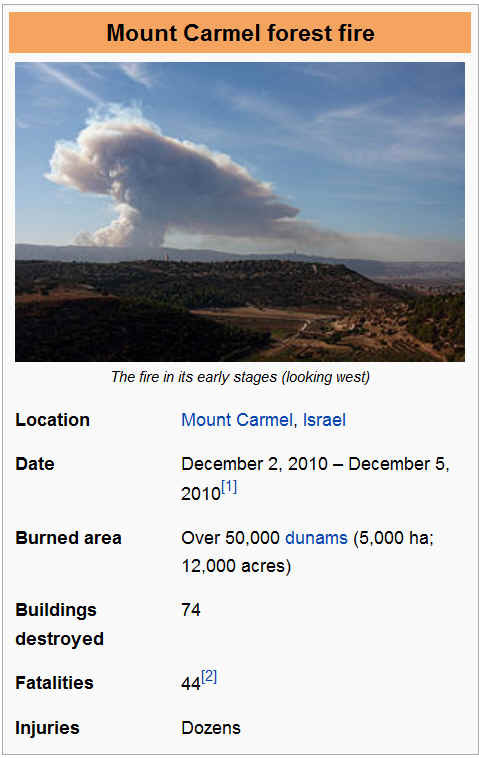 NO one should dare to forget their jihadi handiwork, back in December 2010, as the Carmel mountain ridge jihadi fires (though reported ‘accidental’, ostensibly due to an errant camper, ‘unofficial’ reports beg to differ…but never mind, Israel’s poohbahs feign otherwise, pretending that the internal fifth column are akin to frisky Allah-loving boys scouts) became the wildfire of all wildfires, creeping close enough to a nearest and dearest’s family home that they fled for their lives! This visual aid should clear through some of the smoke, you know, that which is often stuck between the ears of those who still insist that arson is not a real jihadi weapon. Hmm. Onto some additional fiery exhibits…continue reading…. NOT only that, but al-Qaeda (and its Brotherhood appendages) wrote blueprints re this very (torching) act of jihad! Hmm. Alas, why is there less than negligible coverage re this incendiary issue?? Conversely, when a Muslim house (in Texas) received a dent due to a rock thrown through a window, this “act” gained national attention! What’s up with said media disparity? IN reality, since the Jihadi-in-Chief has their backs, well, Allah’s wrath reins supreme – burning Jewish homes, forests alike – non-Muslims be damned! ENTER: Jihadi arson in Queens, NY…. 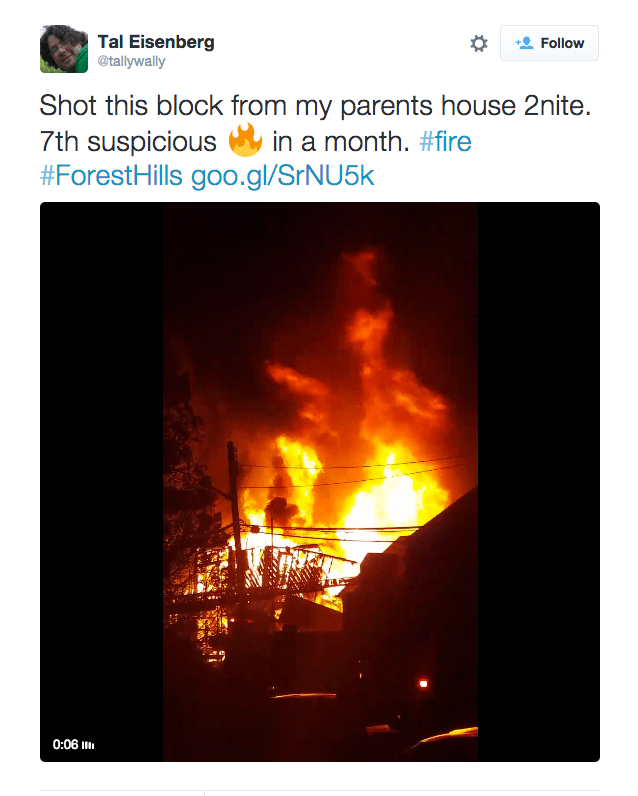 SEVEN suspected arson fires of Jewish homes in Forest Hills, NY, but police won’t call them possible terrorist-related incidents or hate crimes. The fact largely overlooked by most mainstream news coverage: All the buildings set ablaze since Nov. 8th belonged to Bukharian Jews. Imagine the screaming and yelling and calls for federal investigations if all the suspected arsons were on Muslim homes. Seven fires have ravaged buildings in the residential neighborhood of Forest Hills in recent weeks, prompting an investigation by the NYPD Arson and Explosive Squad. STILL yet, regardless of all else, the fact that HUSSEIN Obama gifts “Allah’s Muslim Terrorists” free rein and cover throughout America, it renders him an accomplice according to U.S. criminal law. EFFECTIVELY, it is not an exaggeration to state that he is, as demonstrated, Islam’s best friend in America. Concomitantly, HUSSEIN Obama is an enemy to America’s (Israel alike) non-Muslim citizens! CONCLUSIVELY, The Ruling On Burning Forests of Kuffar, via al-Qaeda’s Sheikh Harith Al-Nadari, became the basic template for jihadi arson in 2011. Mind you, this is the same al-Qaeda that HUSSEIN Obama intoned was no longer a threat in 2011 because it was DECIMATED! More audaciously, this same “non-threat” spun off into ISIS (aka ISIL) from al-Qaeda in the Arabian Peninsula (aka AQAP), which was also deemed a “JV” team in Jan. 2014! MOST significantly, whose side is he on? Asked and answered. This entry was posted in Uncategorized and tagged al-Qaeda's Sheikh Harith Al-Nadari, Islam Exposed, Jihad Via Arson: Fires Rage in Israel, Jihadi arson in Queens NY, Sept. 2013 jihadi arson, The Homeland Security Network, The Ruling On Burning Forests of Kuffar by Adina Kutnicki. Bookmark the permalink. 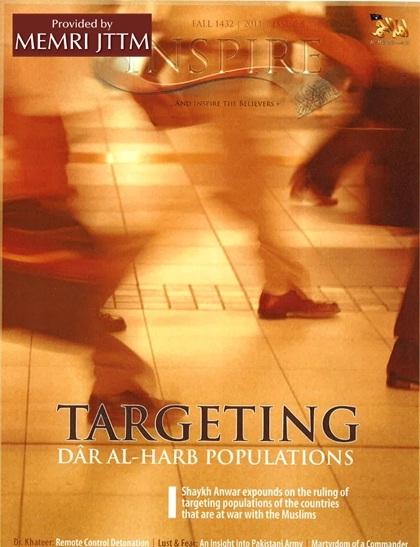 Pingback: Israel's Voice | Jihadi Arson Reaches Queens, NY: An Islamic (Tactical) Imperative REPEATEDLY Utilized In Israel! The Nexus. After every attack Obama says “now Im coming after your guns”. How could he Not know that has the exact opposite effect on the citizens Either we are being played or he is.